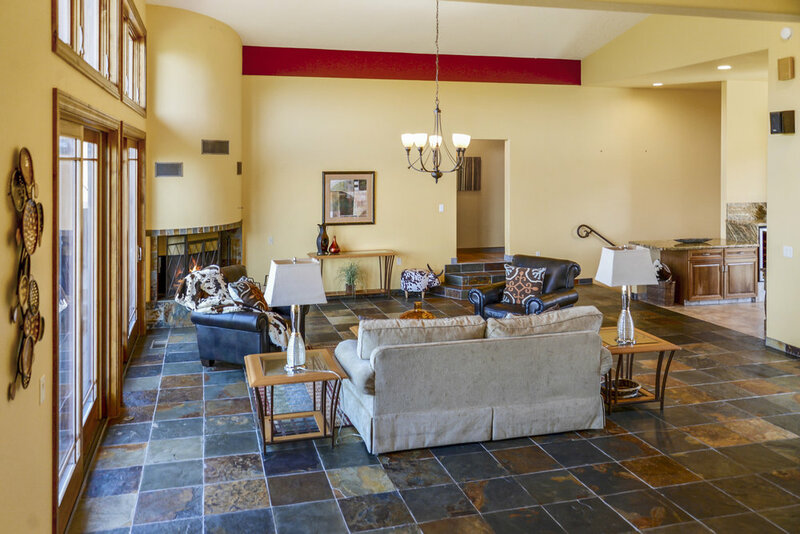 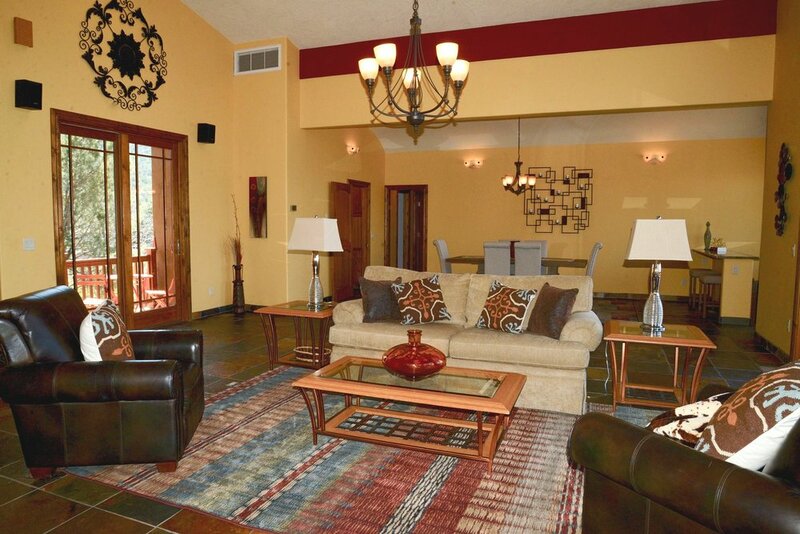 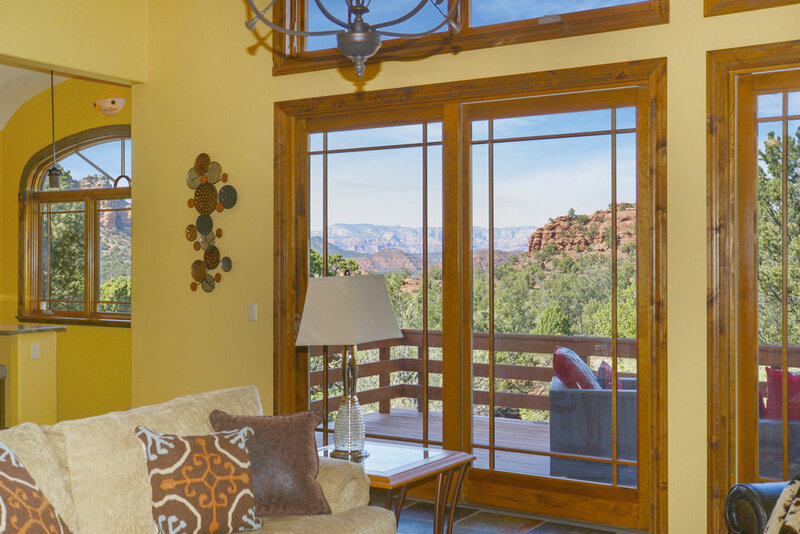 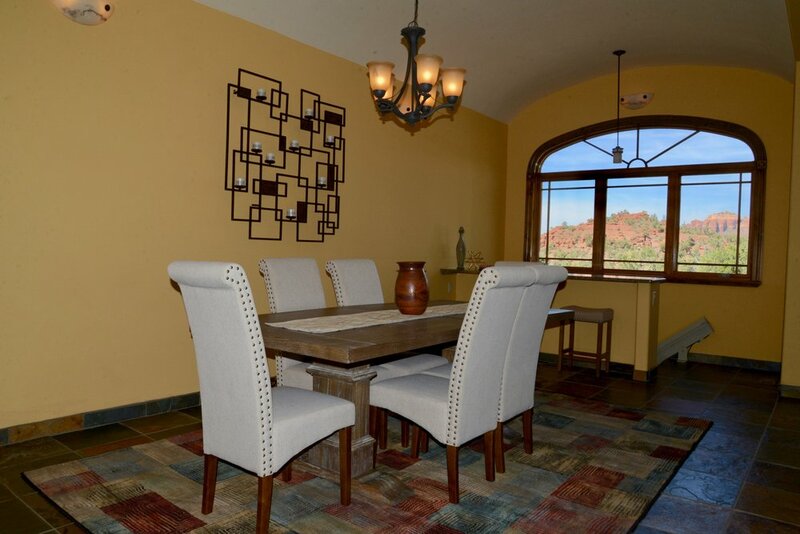 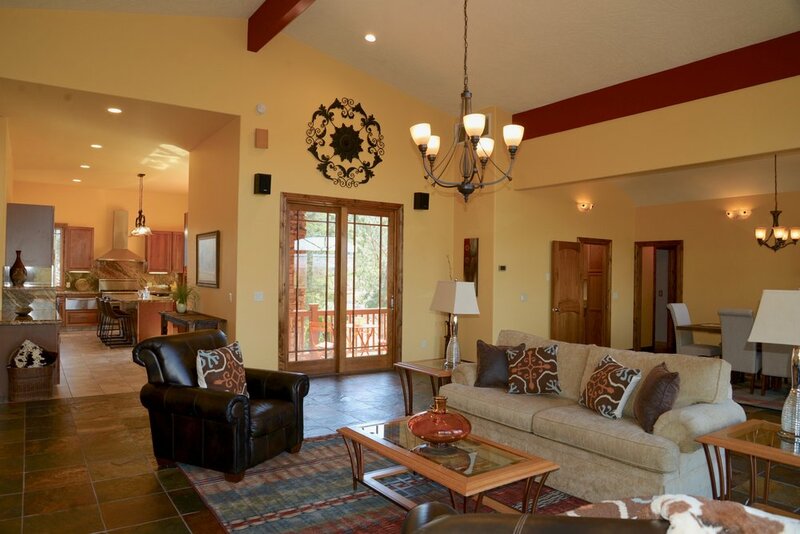 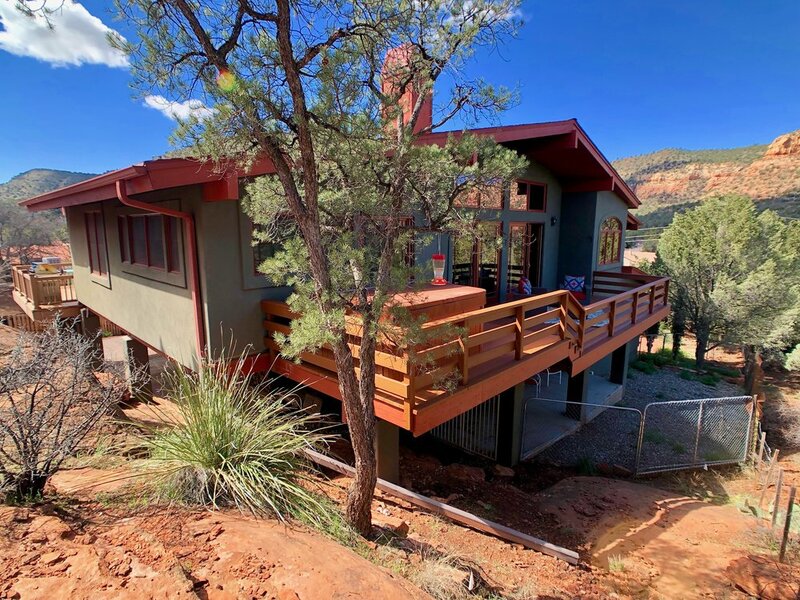 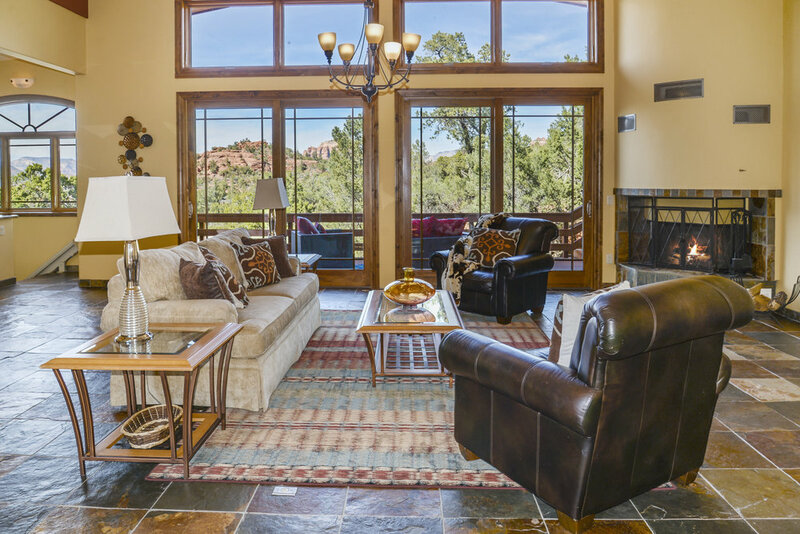 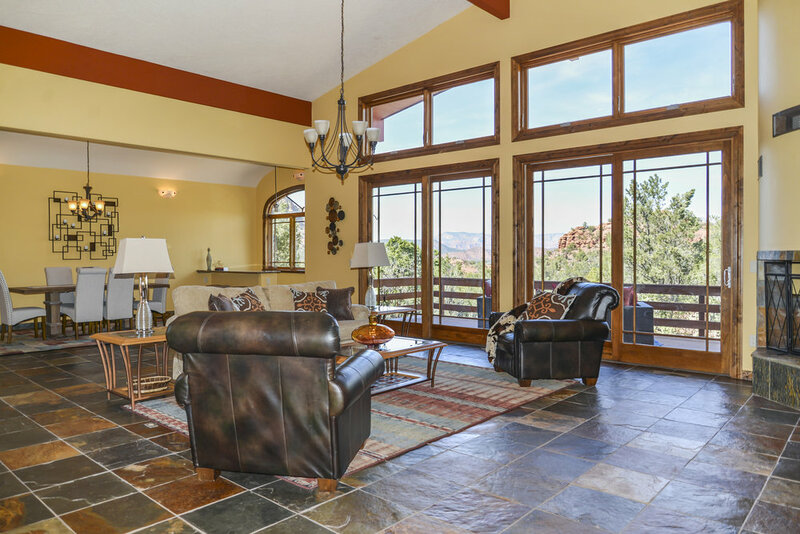 2 masters upstairs both with red rock views! 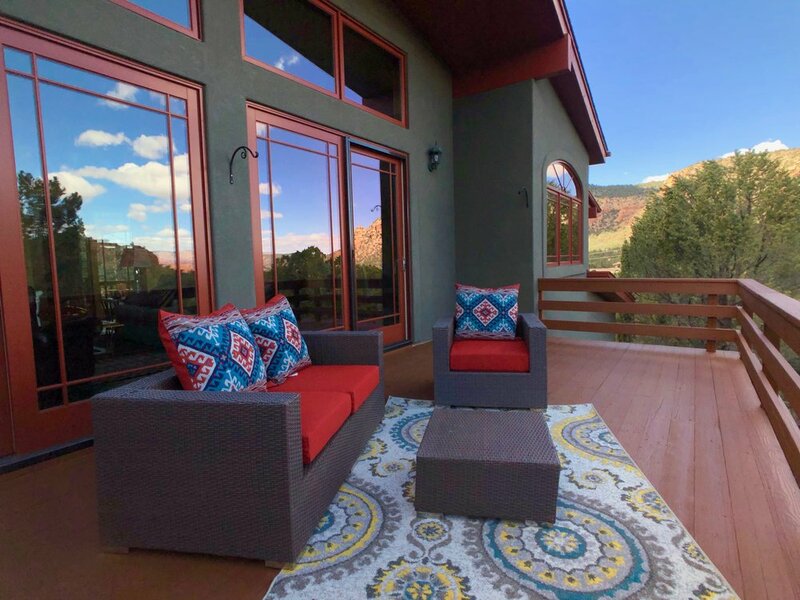 Main master offers deck access, fireplace, and stunning spa bath with huge soaker tub, giant shower with multiple heads for ultimate relaxation, dual vanities and walk-in closet. 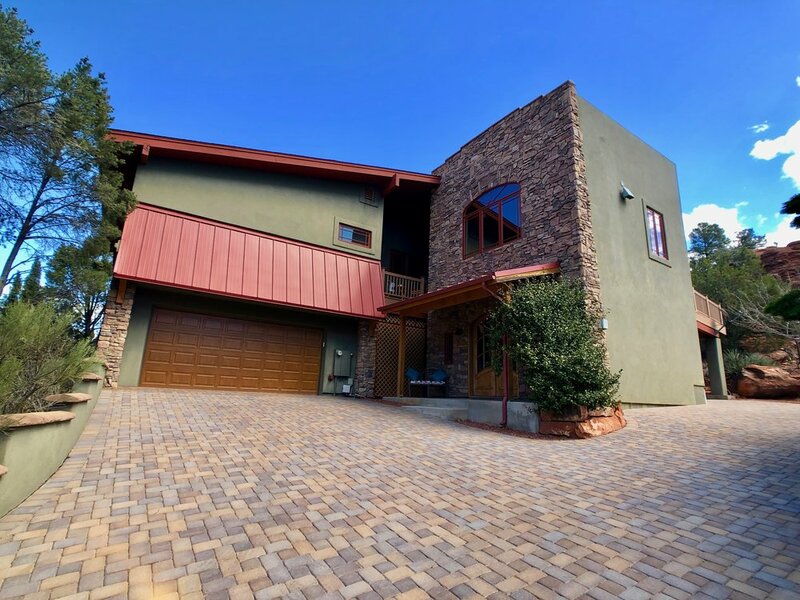 Chefs kitchen with Subzero fridge, Wolf 6 burner gas range, warming oven, convection oven, granite counters, large island, wine bar with red & white wine fridges, walk-in pantry and deck access for outdoor dining. 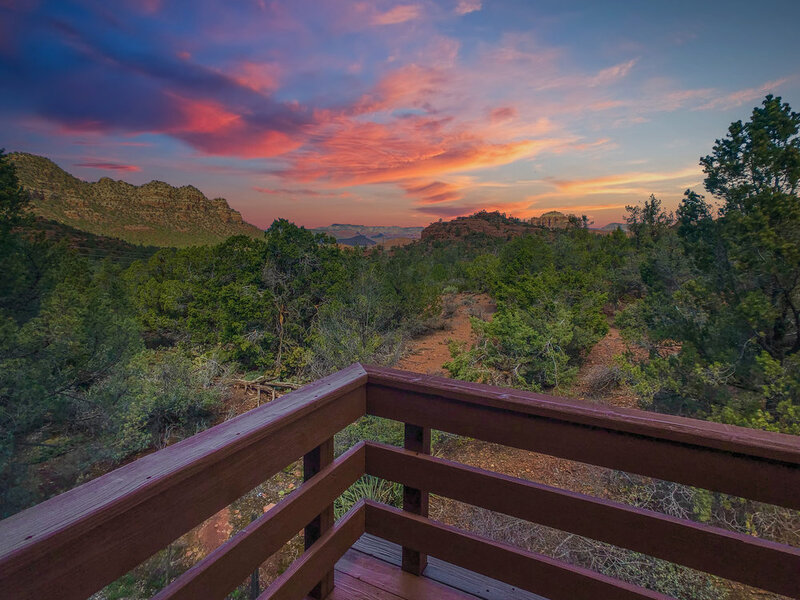 2 sides of home are Coconino National Forest - hike from your yard!